R1 is the main current-sense resistor. R2 and R3 divide down the voltage developed across R1 before it's sensed by the LM317. Note how R3 is connected, with the wiper going to R2 - this is the "upside down" version of the grounded-wiper potentiometer feedback circuit I described in full detail on this page. It results in perfectly linear adjustment and, if the potentiometer wiper loses contact with the track, the output current is forced to the low end of the adjustment range for safety. Watch out for the power rating of R1 - it must be capable of carrying the maximum current. With the values shown above, the maximum power dissipation is 1.6W, so a 3W rating is quite safe. The minimum current is 1.25/R1. The maximum current is 1+(R3/R2) times the minimum. 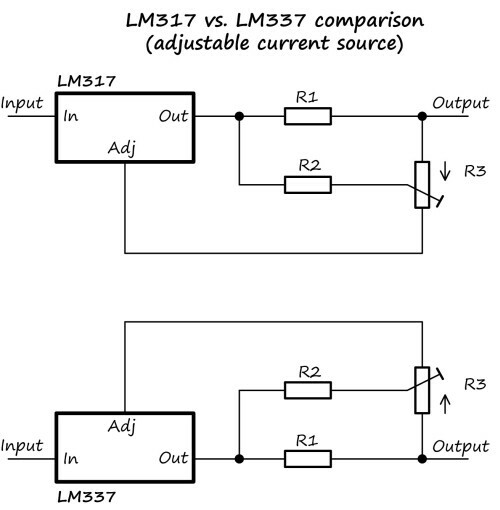 A reader asked how the circuit would look if used with an LM337 negative adjustable regulator. Basically, exactly the same! 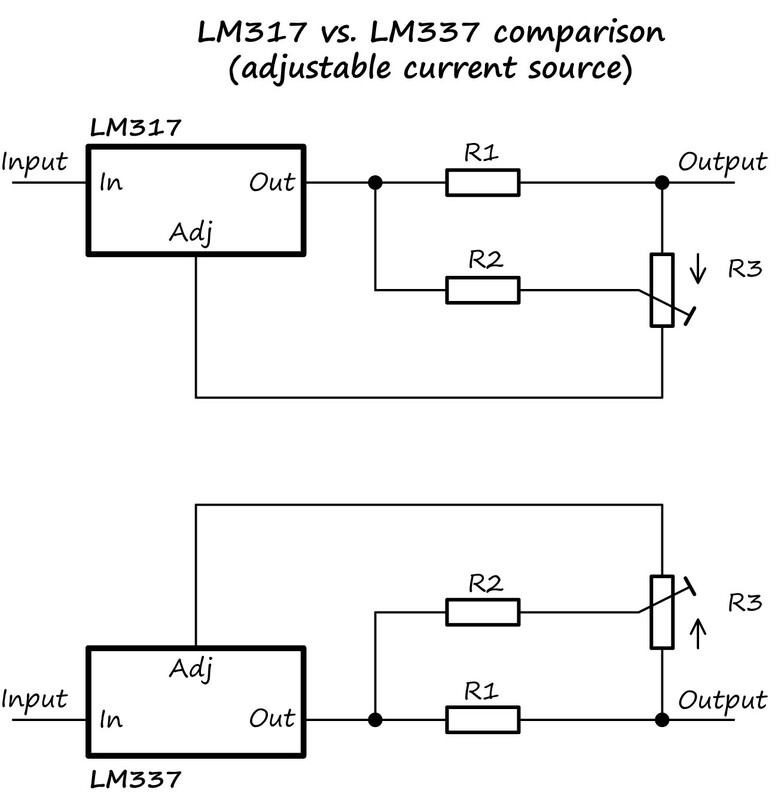 I've shown both circuits below - you can see how the LM337 circuit has the same connections; I've just flipped it upside-down for ease of viewing, since that's usually now negative regulators are depicted.